Very nice blanket at a great price. Great deal on these blankets. I bought a twin and a full size. Made very well & washed well. I plan on buying a king size next. Buy with confidence! Good size, and plush, but definitely a little thin. I would recommend this product for twin or small beds. Beautiful rich blue color, that matched my bedding set perfectly. Not as thick or "Plush" as I expected. I have other "Plush" blankets that are exceptionally thicker. Ive washed it several times and the color has held up nicely. It did shed horribly until the 2nd wash. I live in Houston so this works for me with our climate. Wouldnt recommend for colder areas, not a heavy blanket so wont provide more then just aesthetic color. So soft right out of the bag but I can tell already that after a few washes it will be matted down like the one we are replacing. But I love it no need to retur it. I will enjoy it until the next time I have to replace it. Martex blankets are light but warm. They wash well and never pill in my machines. They are fast drying too. Lots of great colors too. I have several. Loved this blanket UNTIL...I washed it. "Pilling" doesn't even come close to describing the mess this blanket turned into after washing it! I pulled off handfuls of fibers that stretched across the blanket like spiderwebs. After removing the majority of the mess I laid out the blanket on the floor and had to hand vacuum both sides. Since this was bought to place over my sofa for my dogs I opted to keep it for now but will probably throw it out next time I need to wash it. Unfortunate because it is such a plush blanket that I was very happy with until the washing of it! Very soft and cozy, not too heavy. I ordered the grey blanket in king, and it's exactly as pictured. A great addition to my bed. Highly recommend. Very cozy and large. Love it! 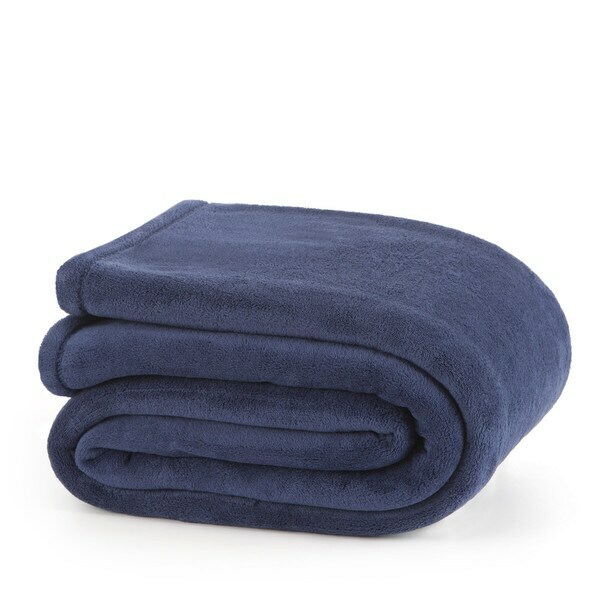 This is a lightweight blanket, you need a couple of them in cold weather. It's a 'loose' fabric, kind of stretchy?! But, for the price, I cannot fault it and it is definitely soft and comfy. Very soft and comfortable, quite luxurious and washes well. It's a typical blanket. Nothing special about it. I use it as an extra layer under my lighter weight comforter on colder nights. It is soft and does not get lint balls after I've washed it a few times. "How wide is the king?" The king size is 108-inches wide x 90-inches long.